What could be more fun than jewelry shopping with the talented and ebullient Amanda Nisbet? It is abundantly clear that Amanda loves what she does and that enthusiasm translates brilliantly into her spirited and distinctive interiors. Filled with color and energy, her rooms bring a fresh approach to modern luxury. Like the gems we saw, Amanda’s designs are simply dazzling and we couldn’t be more pleased than to welcome her as our latest guest on Stylish Shopping. Since 1998, Amanda has been bringing an elegant eclecticism to her clients’ rooms. Schooled in art history with time spent in Florence and at Christies, she knows how to blend past and present with unexpected yet soulful juxtapositions that have become her signature style. Yet Amanda’s spaces still exude a high level of comfort and livability, all with a personalized focus on her clients’ wants and needs. Sophisticated layering with a “casual-seeming but carefully considered collage of color, texture and pattern” inform her rooms. It’s all about the mix and with Amanda, that means a glamorous combo of bold and brave with wit and whimsy. Messing with perfection is one of her mantras, and it’s that final “disruptive” touch that lends her designs their unpredictable charisma. 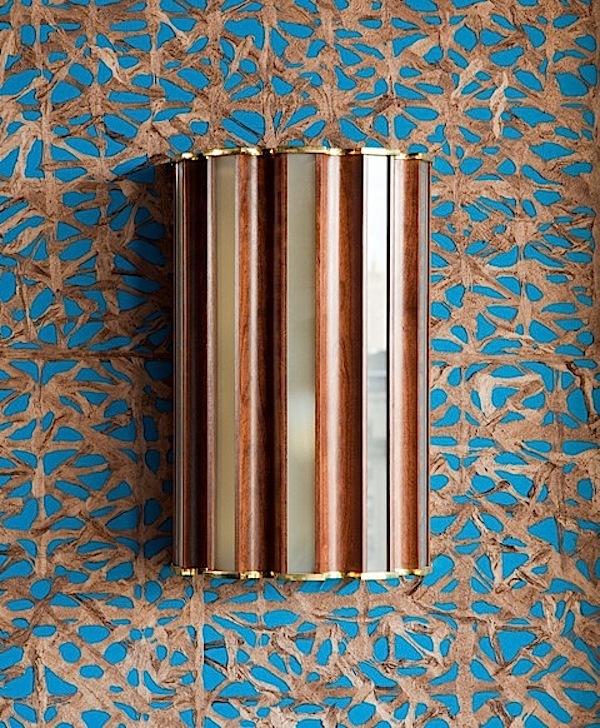 With a textile line available at Holland & Sherry showrooms, Harbinger in LA, Travis in Atlanta and Tigger Hall in Australia, a lighting line with Urban Electric (her Travers light below) and rug collection coming from Studio Four, Amanda is constantly finding ways to turn her translate her inspiration. We had a ball and and now have plenty of ideas for our birthday and holiday lists! Special thanks to Faraone Mennella, David Webb and Verdura for their kind hospitality. This entry posted in fashion, interior design, Quintessence video series, Stylish Shopping. Entry Tags: Amanda Nisbet, interior design, Jewelry, Shopping, Style Bookmark the permalink. OMG what is the wallpaper the third picture from the bottom? LOVE IT! And thaat all blue living room it’s stunning. Looks like you had fun Stacey I just love your job! I’m with Amanda…let’s do this everyday! So much eye candy…my head just exploded! So much FUN!! Amanda is one of the best! “Messing with Perfection” – absolutely! I soooo love these designer vignettes Q.! They are so joyful to watch. Divine. All. How fun was that??! Thanks for taking me along!! I am a huge Amanda Nisbet fan – bring on the wit & whimsy!! Amanda’s designs have always blown me away. She seems just as kind & fun as she is talented. What a terrific shopping duo and enjoyable to watch. I can see Amanda’s designs now and understand more. Thank you Stacey, fabulous as always! Amanda’s energy has made my day spectacular. I’m saving this post so that I can get a jolt of joy whenever I need it. THANK YOU. Thank you! Thank you! This was like a glorious 4 minute vacation! The colors and textures are lovely — and the jewelry is simply divine. I have a tech question. What type of video camera/phone? are you using to film these great episodes? I had such a good time! I love these shopping tours, and I especially love how you integrated shots of Amanda’s work in the video that illustrated perfectly the inspirations they were discussing. What a fun morning. okay… dying! Love this post. Amanda’s one of my fave designers and the jewelry is stunning. Loving the first bracelet!!! Thank you for making the connection between jewelry and art. I know I am inspired by vintage and estate pieces. Van Cleef and Arpels are masters at combining colors. David Webb is the king of whimsical designs. Verdura inspires one to mix materials. Stacey I adore Amanda’s fabulous style! I just can’t get enough of these…love them..and love that you are doing them. I’ve been down your amazing rabbit hole of a blog this afternoon. Netflix has ruined me, I like to take long gulps of multiple episodes. Fun catching up finally! I love your videos and plethora of posts. We’ve been working on snippets of multiple projects here locally and on the web. I will be in New York in September to visit my Mother, the girlies and do a gadabout. If you have any suggestions of fun events around that time, let me know and I’ll juggle my dates accordingly. Thanks for an awesome afternoon! Great coverage, refined and daring jewelry: particularly love the first emerald bracelet and the wood and diamond beaded necklace. Always a fan of Amanda Nisbet, she’s a great inspiration to designers. And this deserves its own comment: best dining space I’ve seen in a while!!!! 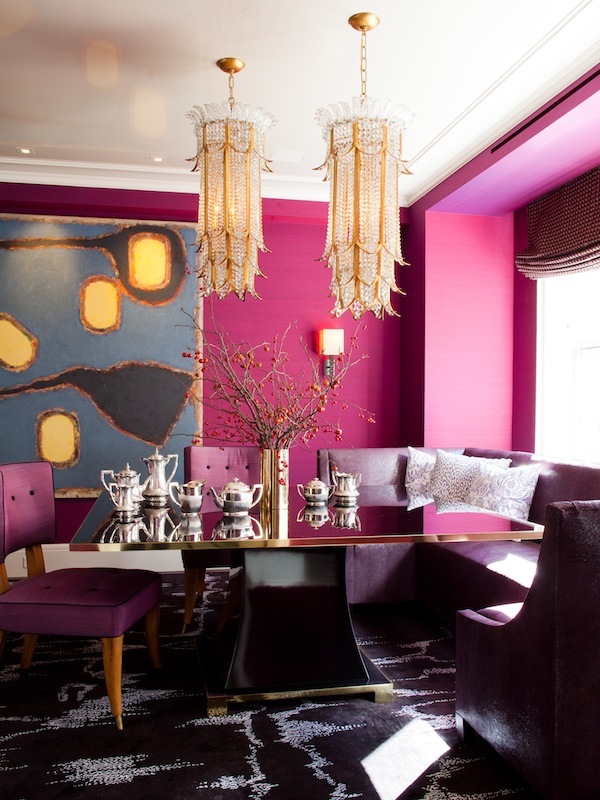 Love that fuchsia sitting area, blends itself perfectly with the chandeliers and the art! Very interesting. 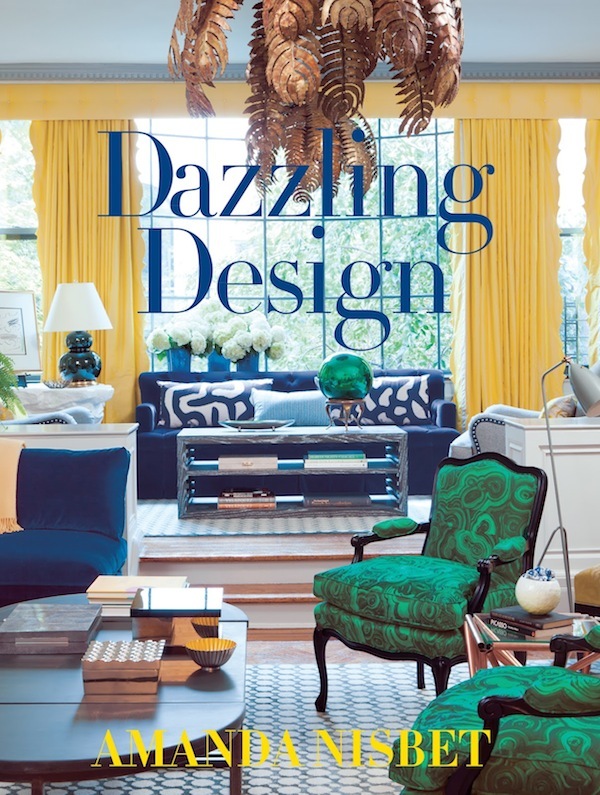 Always intrigued by what inspires a creative person, and the link between jewelery and interior design makes so much sense. 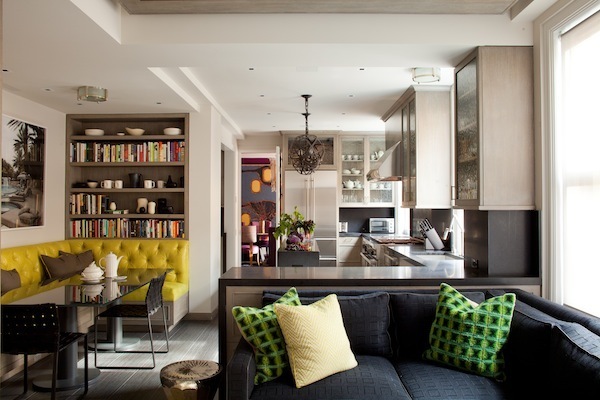 Love vivid color in rooms but never have had the confidence to pull it off. 83 queries in 0.604 seconds.